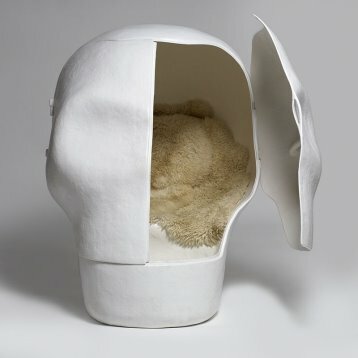 The Sensory Deprivation Skull is a chamber of sorts in which you can sit and essentially cut yourself off from the world. 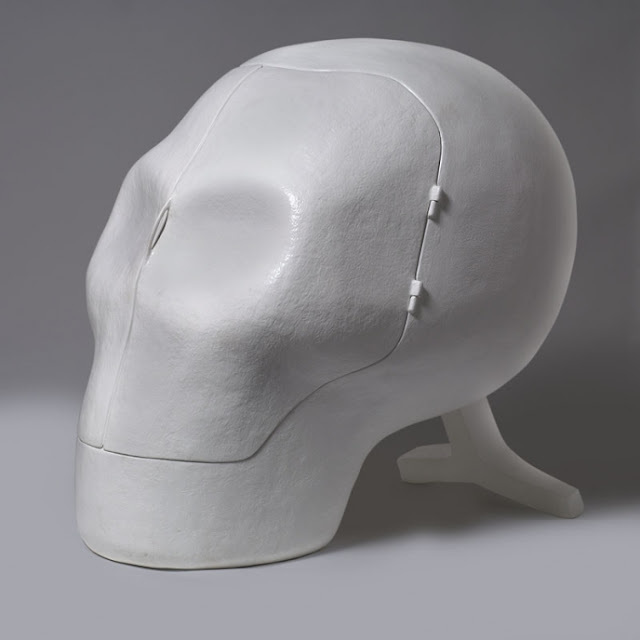 Created in 2007 by Joep van Lieshout of Atelier Van Lieshout, it's comprised of reinforced fiberglass, measures 150 cm tall by 110 cm long and 137 cm wide and is available in a limited edition of 10. 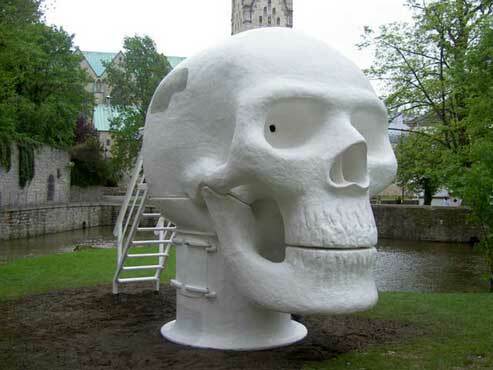 Joep van Lieshout seems to have a thing for skulls; he also created the Wellness Skull in which a sauna is housed and several other sculptures based upon the human skull. 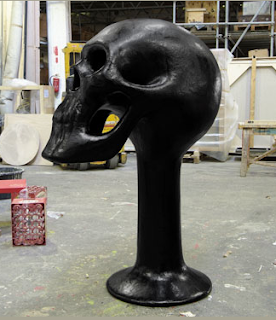 The Wellness Skull is an impressive large skull. Just like Wellness centers it has a few places to relax. In the neck of the skull is a small bath. 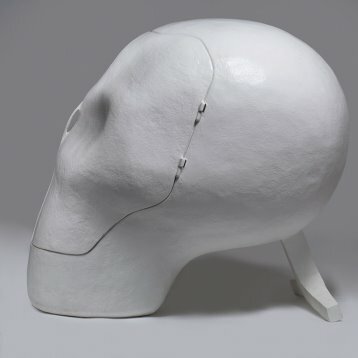 The head of the Skull contains a sauna. When it is working the hot steam pears out of the eye sockets. 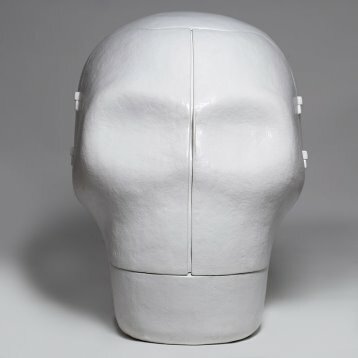 Joep van Lieshout about the Wellness Skull: “The heavenly power is the big unknown, the death of the hereafter, the skull of physical shell of the mind. 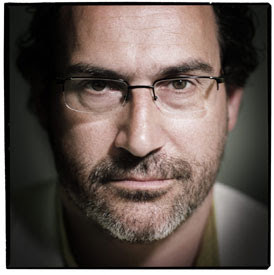 The earthly power is a economical power, money plays an important role on our contemporary society. Gradually the faith loses all importance and is replaced by an alternative ‘self experience’, through travelling, sporting and wellness centres. 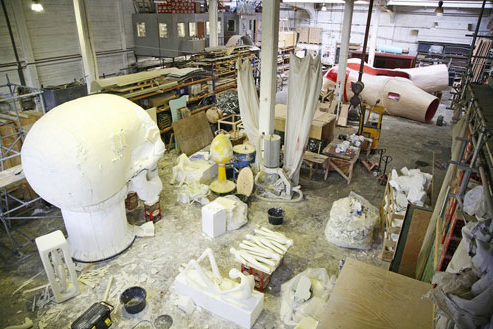 Atelier van Lieshout (AVL) was founded in 1995 by Joep van Lieshout. 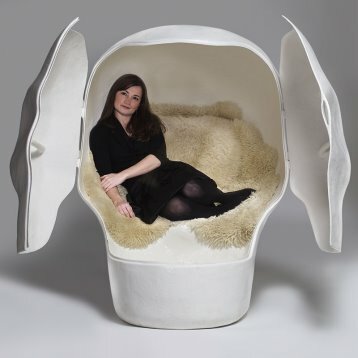 The name Atelier Van Lieshout emphasises the fact that the works of art do not stem solely from the creative brain of Joep van Lieshout, but are produced by a creative team. 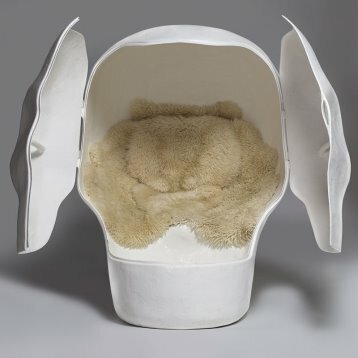 creepiest and COOLEST chair I've ever seen!